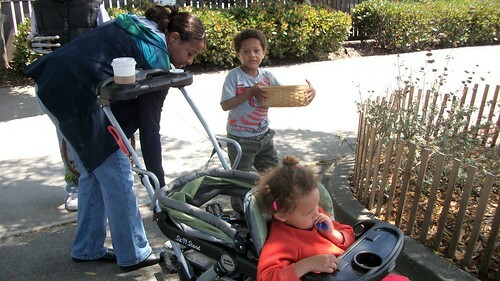 On Sunday, August 21, Victory Garden Foundation and Transition Berkeley saw about 30 people during an hour of meeting neighbors and swapping backyard produce at the historical Lorin Station (corner of Alcatraz and Adeline). This was the first of a monthly event happening every 3rd Sunday; 1 -2 pm through October. 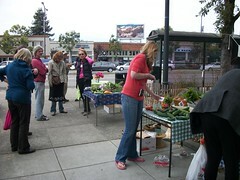 People from near and far neighborhoods shared the excitement and food. 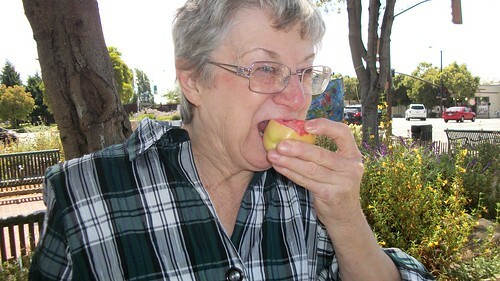 Some people just walking by; were able to receive some of the backyard crops. It is amazing how many different types of produce are being grown by neighboring backyard gardeners. Victory Garden Foundation and other gardeners provided vegetable seeds, six-pack planters and compost to start growing food at home or add to the backyard collection. The really fun part of the day was the meet up. The conversations were robust and you could just tell that friendships were budding. Under cloudy skies, the area was beaming with excitement. Good, healthy food has a way of brightening a day. And just as we were leaving; the sun came out to let us know that our gardeners are waiting for us to tend to and plant more crop to share with others. This will truly be the beginning of a tradition at the historic Lorin Station site and the celebration of last October’s transformation of native and drought tolerate plants officially establishes this park space a community meeting place coming alive once a month with food for the community and by the community . Go here to see what happened at this corner last October. We look forward to growing this event. Volunteers are needed to help spread the word about the crop swap, setup/take down and greet visitors. If you have crops to swap but cannot attend; arrangements may be made to pick up. 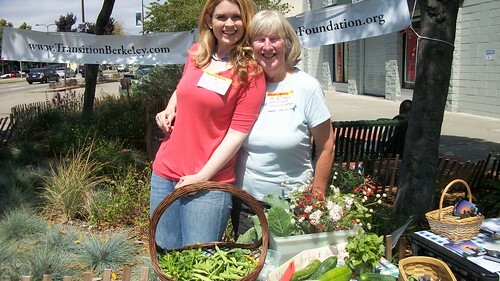 Both Carole Bennett-Simmons, Transition Berkeley along with Victory V Lee, Victory Garden Foundation thank the many volunteers that contributed to launching this event. For more information about the monthly Lorin Station Crop Swap, contact Victory Garden Foundation at Victory.Garden@comcast.net or call 800.971.3006. 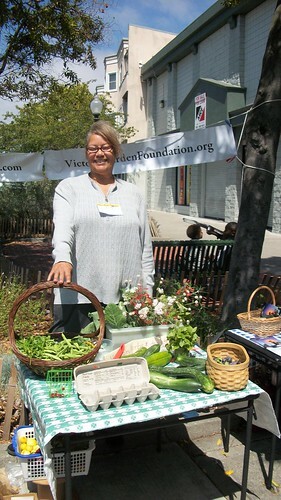 To learn more about the sponsoring organizations, please visit www.VictoryGardenFoundation.org and www.TransitionBerkeley.com.